It's a simple idea that can change a family's future. "Humble Design formed in the summer of 2009 to assist families coming out of homeless and abuse shelters with the process of rebuilding their home lives. The mission: to turn four bare walls into a clean, dignified and welcoming home by repurposing gently used household goods. The vision of two Birmingham women, Ana Smith and Treger Strasberg, Humble Design was born out of their belief that decent families emerging from homelessness deserve to come home each day to a clean, friendly, and dignified home. All family members would have more time, effort and resources to focus on education, home life, employment and building a better future. Once a partnering agency makes a referral, Humble Design designers meet with the families to do a needs assessment and develop a client wish list. From there, Humble Design designers move swiftly to: place the furnishings, toys, accessories and housewares; do any minor cleaning; and, officially move the families into their new housing. The end result is something like an extreme makeover on-a-dime. Humble Design currently has the capacity to assist up to 3 families per week, and all referrals must come through a partnering organization." 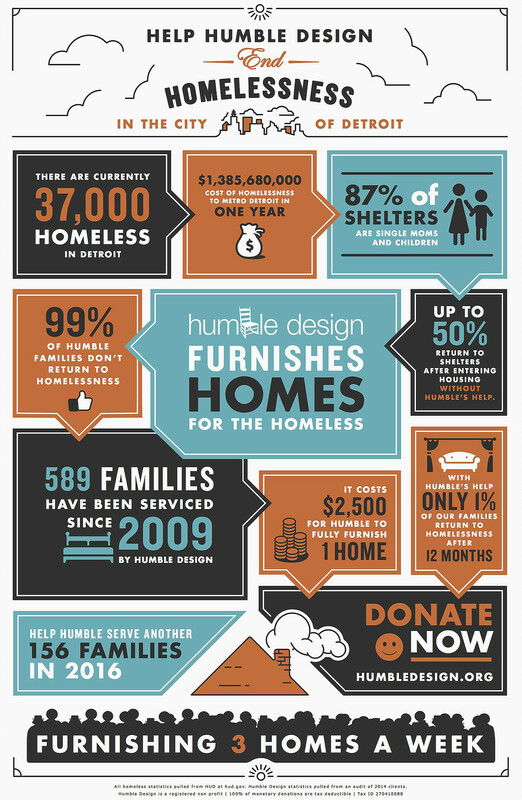 Visit HumbleDesign.org to learn how to volunteer or donate today. I Love My Pillow is a proud sponsor of Humble Design's efforts to help those in need and end homelessness.